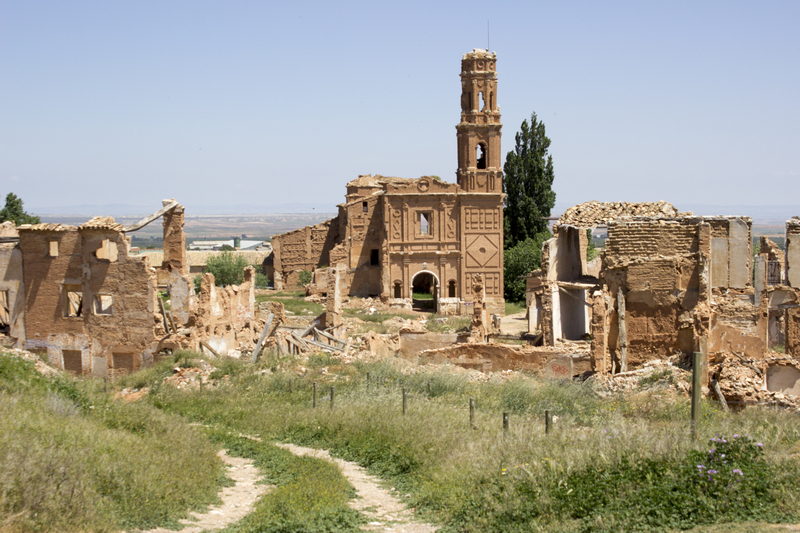 Some 50km Southeast of Zaragoza is the sad sight of the crumbling remains of Belchite. To get there we drove through spartan countryside on one of the straightest roads we have ever seen. 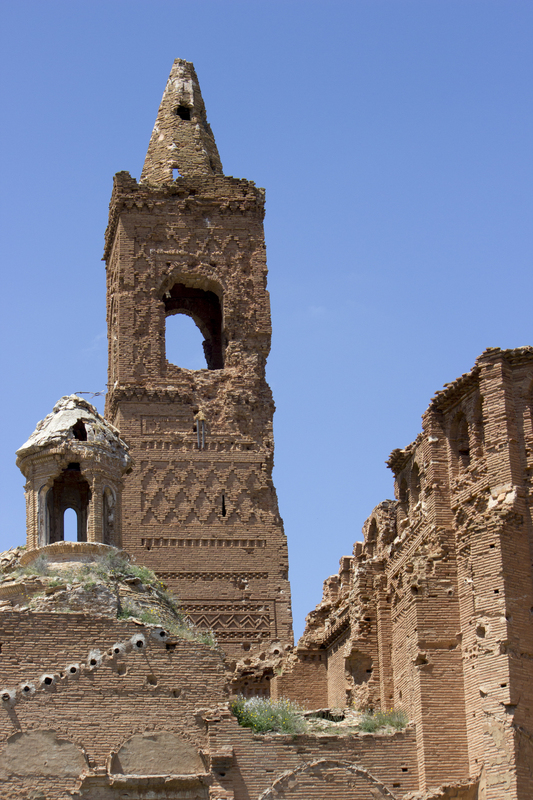 The ruins of the cathedral loomed large in the distance and helped us get our bearings. Not really knowing where we were heading, we went through the new town and parked up out side the ruins of the old town. 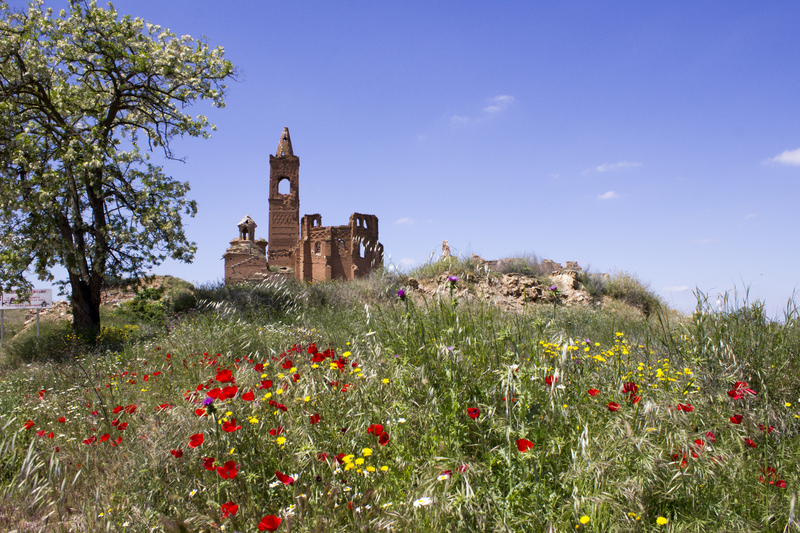 It seems that once upon a time wandering idly through the ruins left from a brutal Spanish Civil War battle was possible. 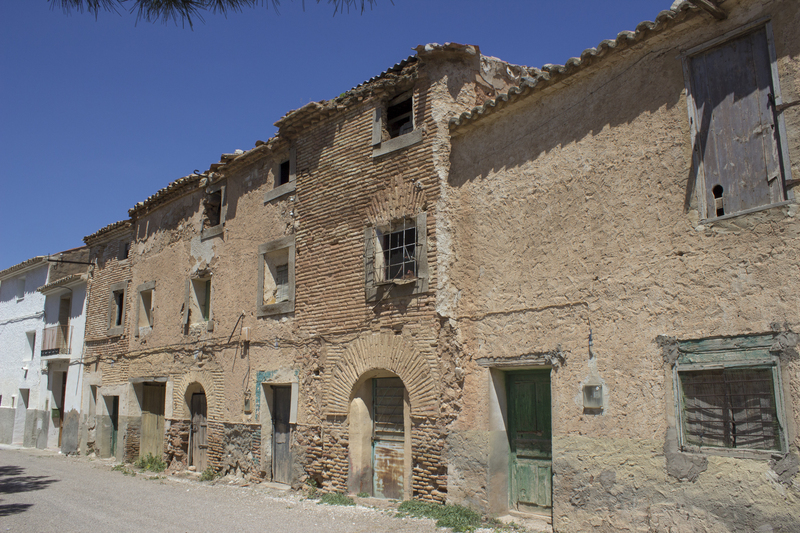 The crumbling buildings are getting a bit dangerous now though, and you can only go inside the cordon on a guided tour. They are available at 2pm, 4pm, and 6pm and, as usual, we timed our visit to imperfection! Instead we wandered around the outside of the cordon. It would have been quite easy to lift up the rope and go inside but we erred on the side of caution. We even met the guide who told us that an audio tour in English was available if we went back to the starting point on the hour. We sat in the open countryside and ate our lunch instead. The views were fabulous and the weather was amazing. It’s a moving sight as you circle the old town and see the bombed out buildings and the decaying churches. They say you can see the bullet holes and battle scars too, but you probably have to get a bit closer than we were. The pictures say it all really, and it is a permanent reminder of the horrors of war. On the other side of the long, straight road, we climbed the hill up to the communications mast. That gave us great views all around. 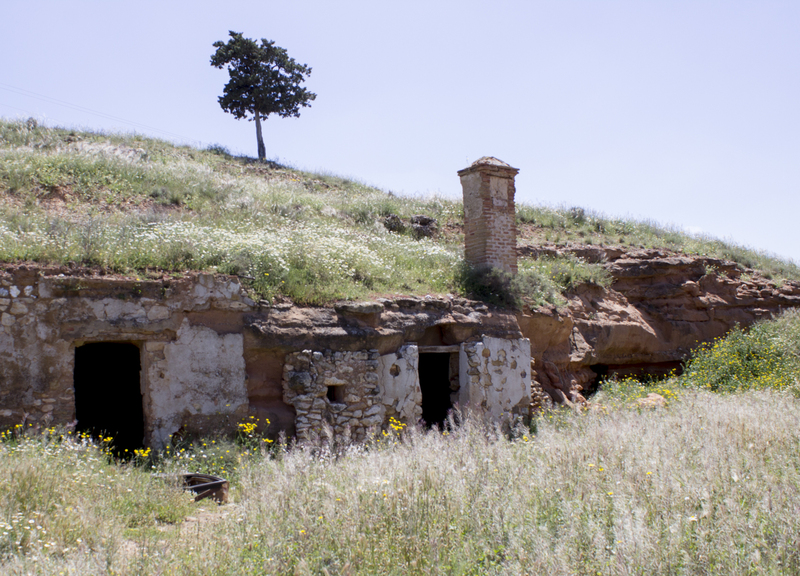 It was strange to see abandoned cave houses. They were a bit too overgrown to venture further in so we never got a closer look. If we went again I think we would time it to do the tour inside the ruins. Even so, it was a sobering but interesting day out.